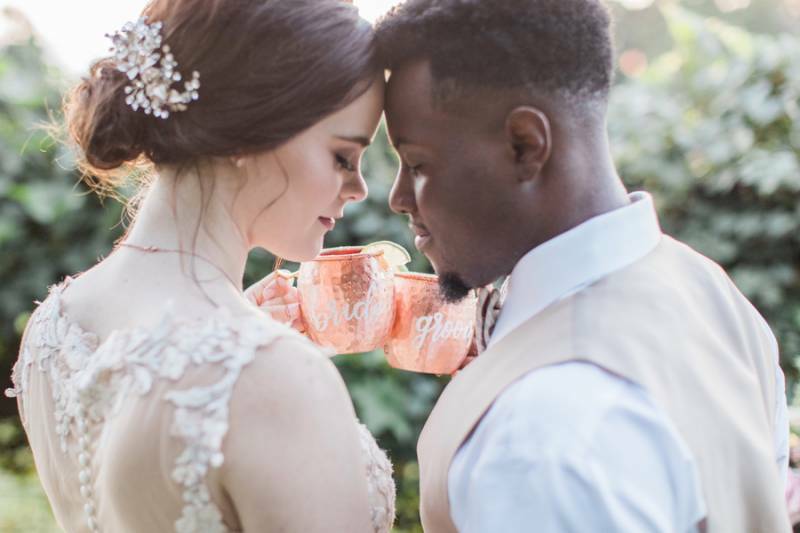 How gorgeous is this copper infused, East Texas styled shoot! 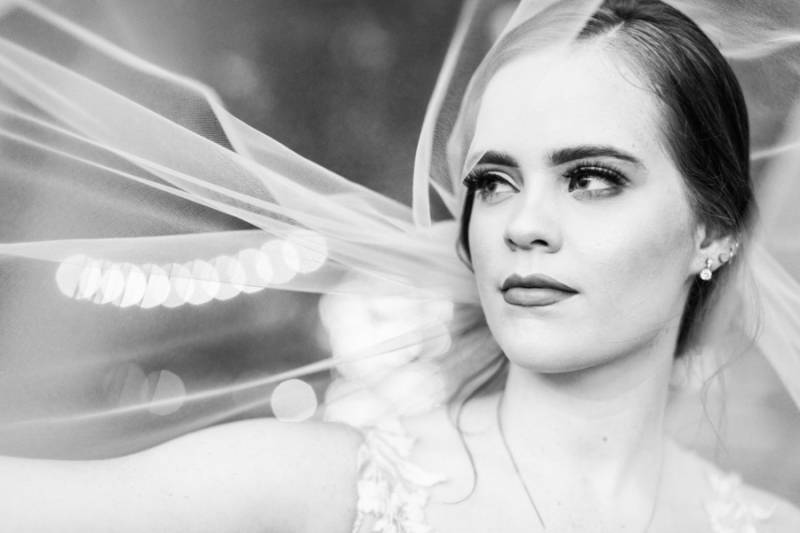 Filled to the brim with steal-worthy details perfect for an elopement or a large affair. The Moscow Mule theme is carried throughout the shoot and is the perfect anchor for all of the design elements in the photo shoot. 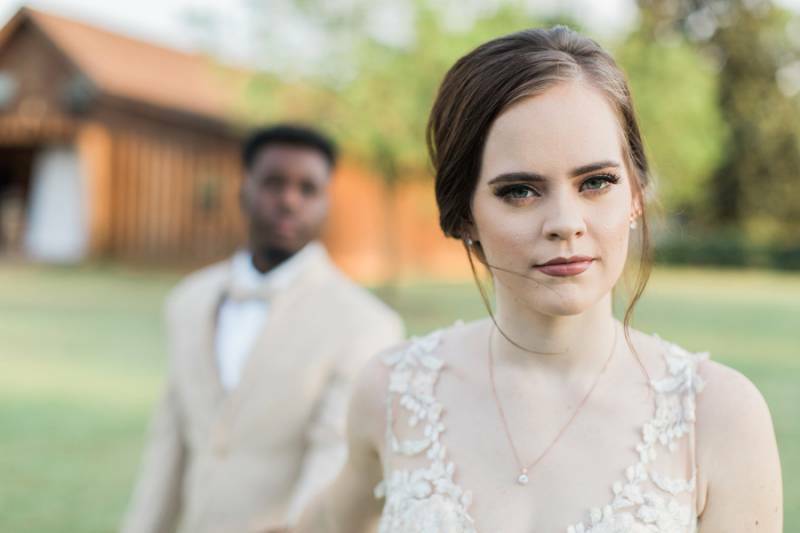 Add in a gorgeous couple, beautiful stationery and calligraphy, and breathtaking florals and you've got a styled shoot that rivals any we've featured on the site. 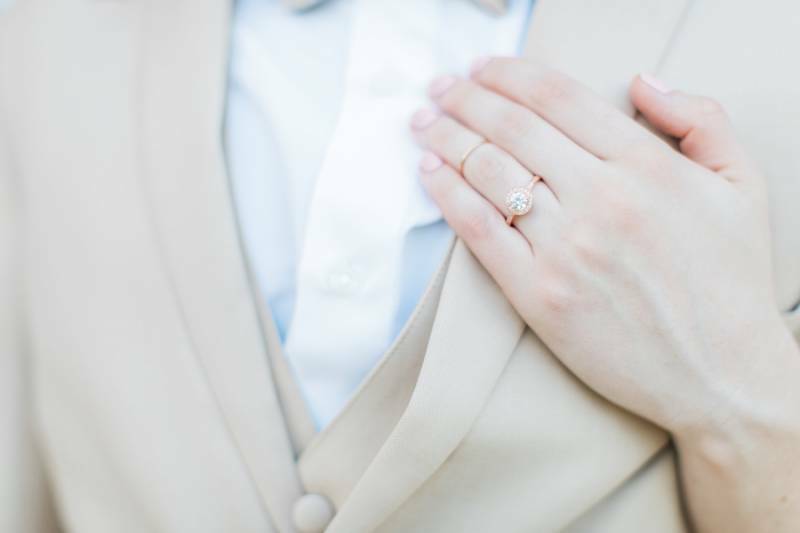 The husband and wife photography team of R&M Bledsoe Photography captured every delightful detail. Check out the gallery for the rest of the amazing images. 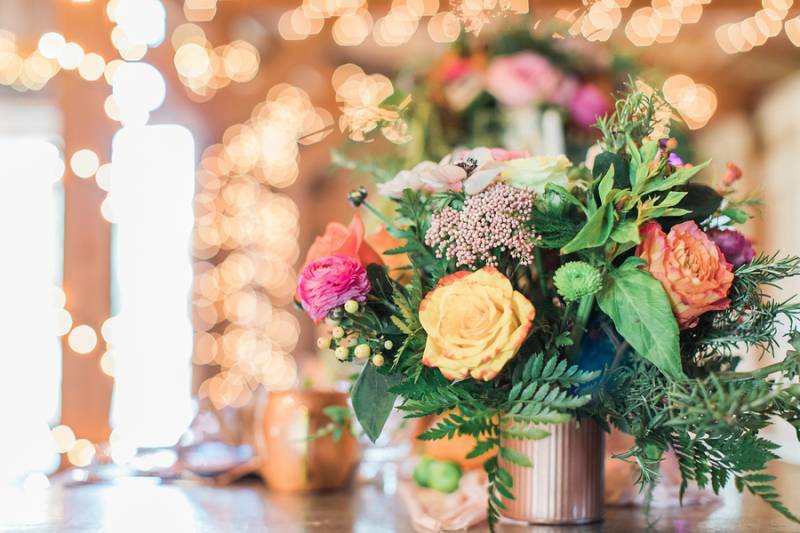 From R&M Bledsoe Photography...Crisp, cool citrus mingles with rustic barn accents in this Moscow Mule themed elopement session. 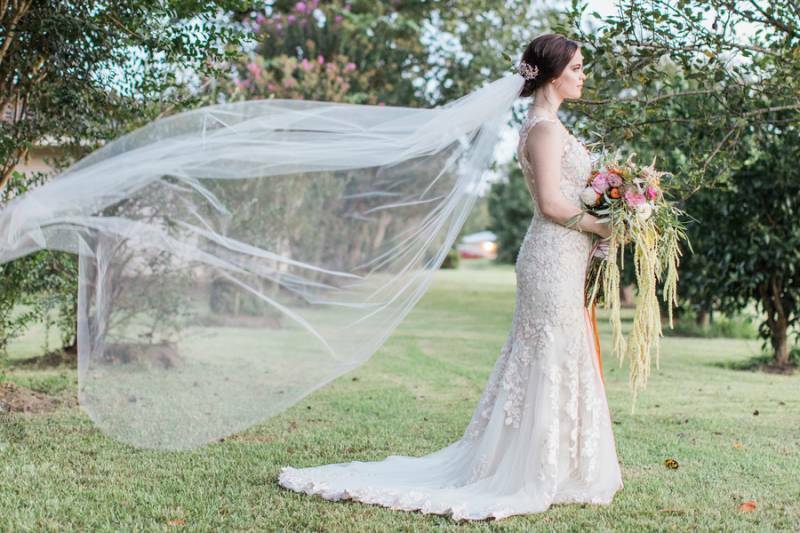 Far from the reach of busy city life, this East Texas couple found tranquility in a small barn perfect for the occasion. 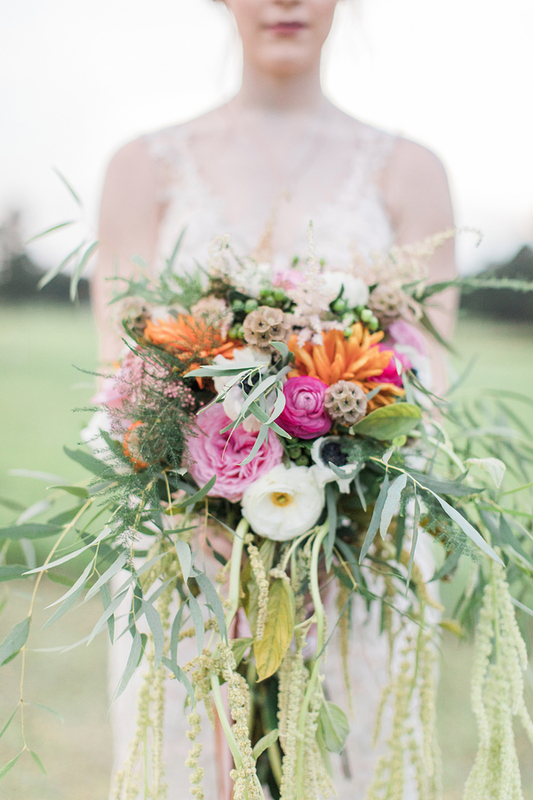 Colorful floral accents adorn the copper details of this modern but timeless event. Citrus embellishments give a nod to the theme of the event, the Moscow Mule. 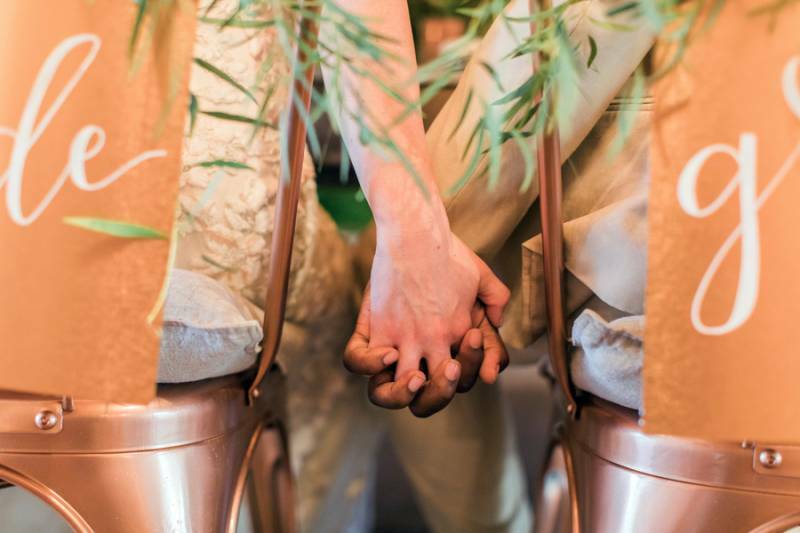 The couple's sweetheart table relies on copper which is accentuated by their custom bride and groom Moscow Mule mugs. 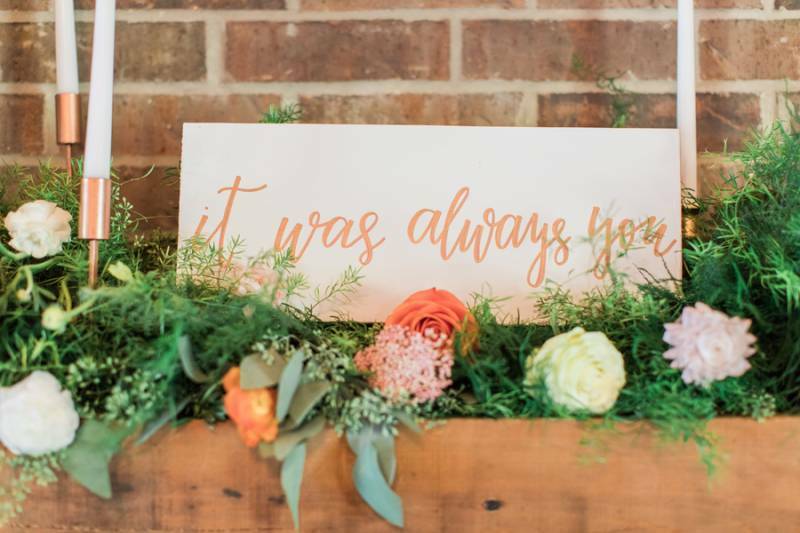 A cool breeze symbolizes the end of summer travels from their sweetheart table in the heart of the barn, through their hand calligraphied ceremony altar, to their Moscow Mule station set up with punchy citrus flavors that honor the traditional drink and add a fun twist. Her dress is delicate, yet fun and flowing like a summer day. His khaki suit is a nod to new tradition and the ginger beer that comprises a Moscow Mule. 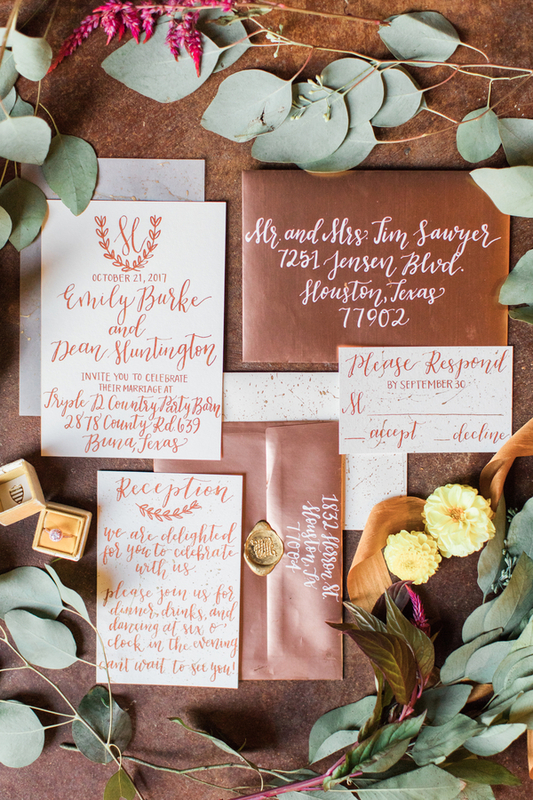 Golden touches also grace this elopement, from the bar cart to splashes of gold in the calligraphy. 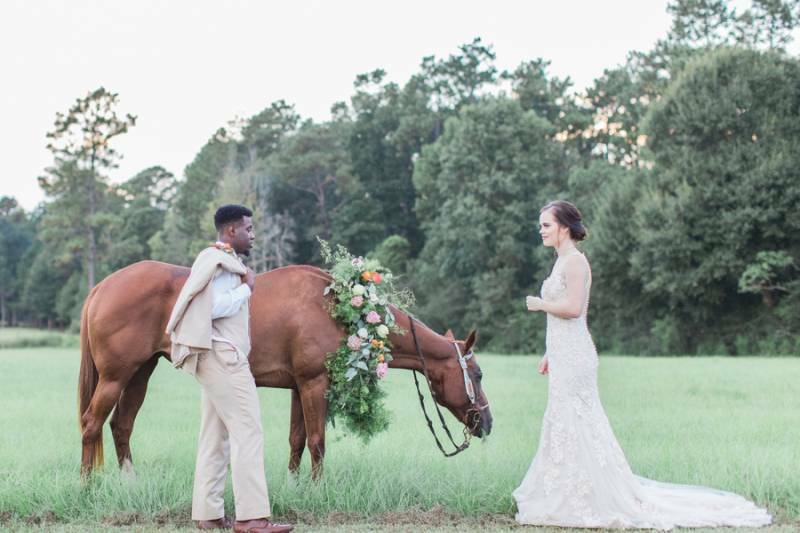 Even a horse friend decorated in flowers joins them to celebrate their nuptials. 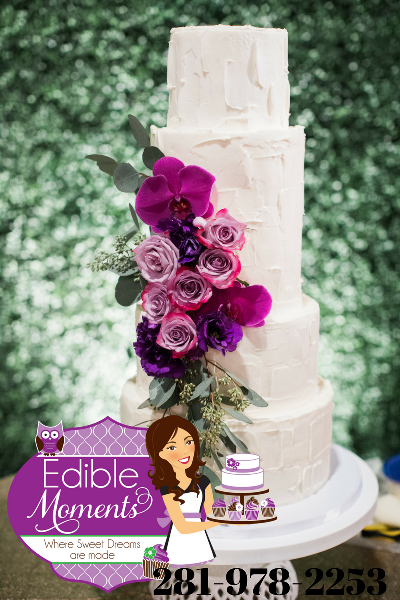 The happy bride and groom invite you to a sip of your drink, relax, and dance the night away.